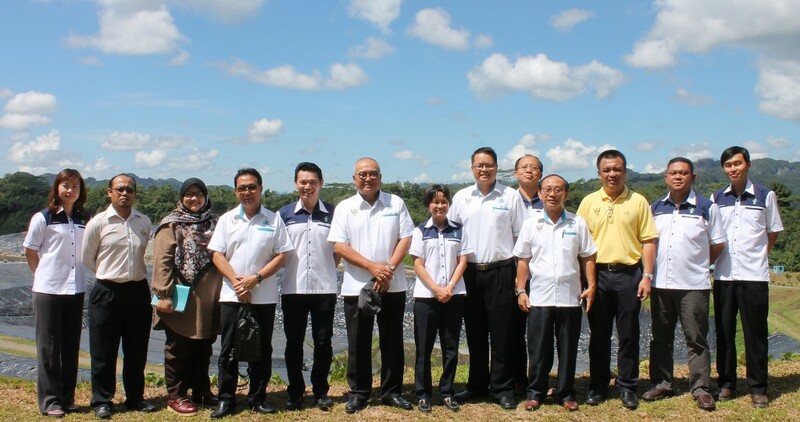 Miri Delegation Visits Kuching Integrated Waste Treatment Park | Trienekens (Sarawak) Sdn. Bhd. KUCHING: A delegation comprising of Council representatives from the Miri City Council (MCC) were recently in Kuching for a familiarisation tour of the Kuching Integrated Waste Management Park (KIWMP) in Mambong, which is managed and operated by Trienekens (Sarawak) Sdn Bhd. The half-day study visit was primarily to see how advanced waste management technologies for municipal and hazardous waste are operated in the State’s capital. Areas visited included the facility’s Natural Resources and Environment Board (NREB) categorised Level 4 sanitary landfill, secure landfill, schedule waste Incineration Facility (comprising of two incineration plants); as well as its Leachate Wastewater Treatment Plant. Miri Mayor, Adam Yii who led the MCC delegation, thanked Trienekens for their hospitality, saying that the experience gained from the study visit would be discussed in the next city council meeting. KIWMP currently receives approximately 513 tonnes of municipal waste a day from the Kuching South City Council (MBKS), Padawan Municipal Council (MPP), Kuching North City Hall (DBKU) as well as some areas under the Serian District Council (SDC). It also receives, treats and disposes of hazardous waste from all over Sarawak, the Federal Territory of Labuan and Sabah. Trienekens Group Deputy Chief Executive Officer, Elvin Wee and Chief Operating Officer, Alice Lee hosted the entourage.